Hospital pharmacies supply the different hospital wards with drugs. These must be provided up to a certain pickup time. The hospital pharmacy receives electronic drug orders from the hospital wards. These are pooled and then grouped in batches in order to allow rapid processing. 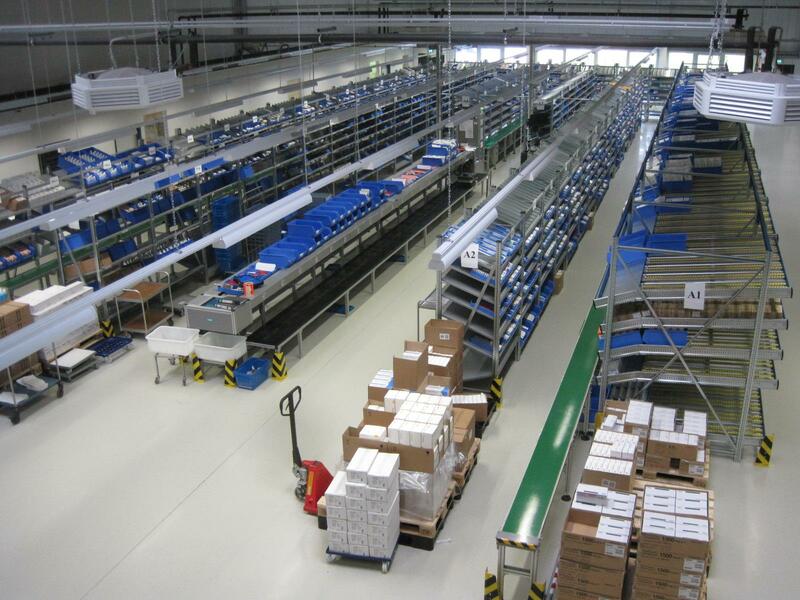 During the picking process, articles are taken from shelves and placed onto a conveyor belt. The conveyor runs through the entire storage and transports the articles to a recognition unit, in which they are automatically identified, and then to the sorter, where they are sorted into the appropriate transport boxes. Any articles that are not automatically identified, so-called NoReads, are sent to a separate box and are identified manually at the end of a batch. After starting a batch picking job, the pickers request the corresponding picking lists via handhelds from the Storage Manager. The picker is then guided through the storage more efficiently, i.e. on an optimized route. Stock-outs can be reported online during picking. Conveyor belts transport the articles through the storage and to the AXON automatic sorter where they are visually identified and then sorted into the appropriate transport box. All outgoing goods are thus checked automatically and independent of the picker. 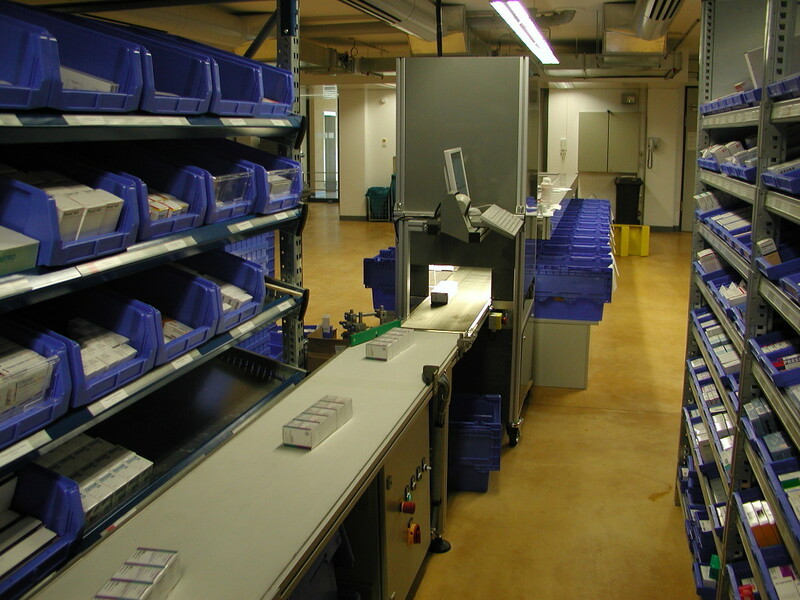 Compared to previously used techniques - manual picking with printed pick lists or hand-held scanners - the introduction of the AXON picking system considerably reduces the time needed for drug picking and packing while simultaneously increasing the reliability significantly.